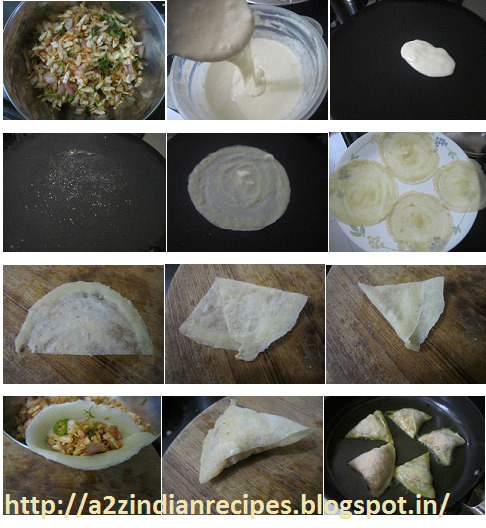 Mix all ingredients and make batter like dosa. Keep it aside for 1 hr. Heat non stick pan, (it should be medium hot). Add 2-3 drops of oil now with the help of cloth spread oil all over tawa. Now add one spoonful of batter at the center then spread in a round shape. Let it be for 2 min till the edges curl sightly. Remove from tava and keep it on the plate. Continue till you make wrapper from the rest of batter. You can spray oil on every wrapper so that u can stack on each other. Same you can freeze them for the recipes which requires wrappers. First mix onion and poha, then add remaining ingredients, mix well. Keep it aside for 15 min. Cut the wrapper at the center. 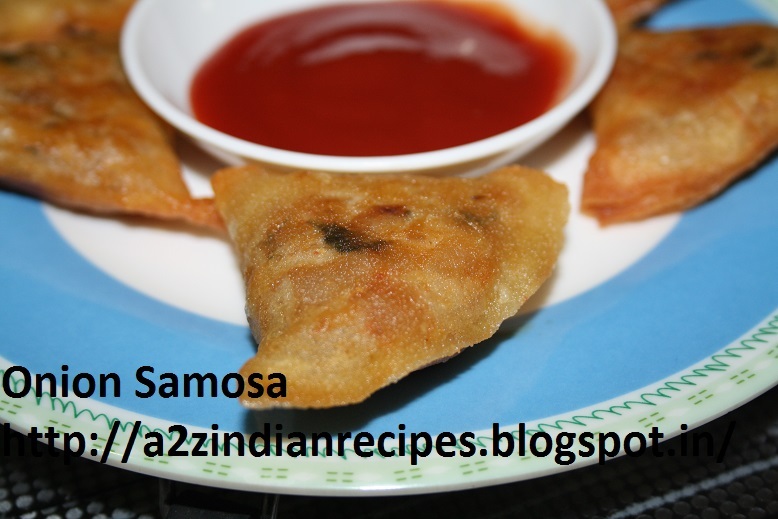 Take one end, fold on other side by applying wheat flour paste then press at the end, insert spoonful of stuffing, then again apply paste to close the ends. Deep fry till golden in colour.